Football’s biggest transfer saga has finally come to an end, Alexis Sanchez has abandoned Arsenal and made Old Trafford his new abode. After being linked so extensively with Manchester City, Jose Mourinho can feel justified in celebrating getting one over his cross-town rivals. While the league looks destined to allude United, perhaps we will fare better in the Champions League, a competition Mourinho is more than familiar with. When using the Bet365 android app, odds for Mourinho’s men to land the biggest prize in club football are currently 14/1. They are 25/9 to beat Tottenham at White Hart lane on January 31st. The odds have dropped since the signing of the former Arsenal striker. 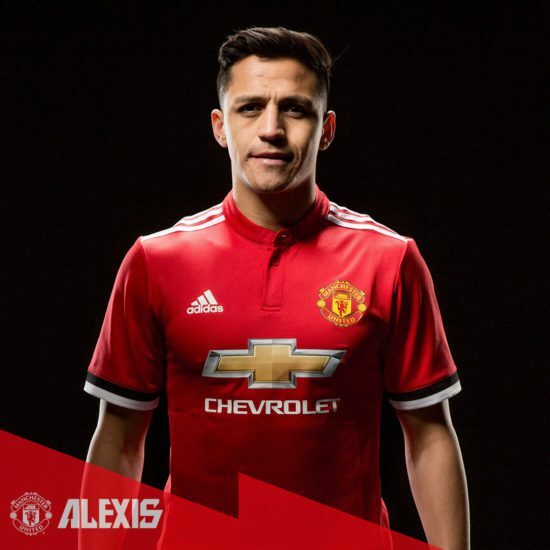 Sanchez’ arrival brings the very thing that Manchester United have been lacking for so much of Mourinho’s tenure – a spark. The biggest stick used to beat Mourinho with in recent months is that his side have become the physical embodiment of boredom. Defensively we have run about as smoothly as the Portuguese manager could have hoped for. In conceding just sixteen goals, Manchester United match Chelsea and can class themselves as the Premier League’s stingiest side. This Spartan defence of clean sheets extends into the Champions League where we have conceded a paltry three goals in six games. Going forward Manchester United haven’t been anywhere near as bad as many suggest. In Europe we average two goals a game, and in the Premier League we have the third highest goal scoring tally – notching just five goals fewer than Jurgen Klopp’s rampant Liverpool side. Failing to shine as brightly as Pep Guardiola’s all-conquering Manchester City however, does not render us a bad side. Far from a pretty sight, Manchester United games regularly become stagnant battles, where both sides are firmly entrenched in their own halves, mustering attacking forays intermittently. This is where Sanchez will prove to be invaluable. The squat Chilean is chaos personified. Like a tornado, he furiously blows around the park, picking up the ball and causing untold damage. In an attacking trident alongside Romelu Lukaku, acting as the sides focal point, and Antony Martial operating as Sanchez’ mirror image, United could finally get Old Trafford pulses racing again. Fans will salivate further when a fit and firing Paul Pogba finally has a constantly moving target to hit with his trademark floated passes. The Champions League has never been so open. Holders Real Madrid are in disarray, with manager Zinedine Zidane’s job looking more perilous with each passing hour. Barcelona and Bayern Munich, while flying high in their respective leagues, look immanently beatable over two legs. PSG, while fabulous in attack, have a defence that looks porous against elite opposition. Meanwhile last season’s quarter finalists Atletico Madrid, Monaco and Borussia Dortmund have already been eliminated. Realistically, any of the English sides could stake a convincing claim. Manchester United’s round of sixteen opponents Sevilla, are far from the most daunting of opposition. We currently sit sixth in La Liga after sacking Eduardo Berrizo and appointing former AC Milan coach Vincenzo Montella, the infamous ‘new manager bounce’ will have lost a degree of its elasticity by the time the two sides meet in February. Mourinho is a man who has made his reputation galvanising sides with robust defences to Champions League glory. Now aided with Alexis Sanchez’ genius, he has the spark needed to make his side potent against Europe’s best. The road to the final in Kiev will be long, arduous and fraught with deadly adversaries, but with a little luck, and some rapid acclimatisation, maybe Mourinho can shake of this tag as a rampant excuse machine, and once again take up the mantle as one of the game’s best coaches.